De Vine Martinborough is located on Cologne Street, right in the heart of Martinborough. This beautifully designed four bedroom home has been purpose built and furnished to provide luxury accommodation. The lounge, dining, kitchen and family areas are open plan, with great indoor/outdoor flow to the outdoor entertaining area. The BBQ, spa pool and lawn are private and fully fenced. Sit and relax in front of the 50’’ plasma TV, DVD player with an inbuilt surround sound system. The fully equipped kitchen allows to cater for a romantic dinner or a function for family or corporate guests. For larger groups we have a similar four bedroom house next door 14a and a house at 26 Cologne Street. Only a 5 minute walk to the Square, shops and cafes; a slightly longer walk or bike ride to the nearby vineyards on Puruatanga Road. Pricing: Sunday to Thursday nights - $200 per night for up to 2 people + $45 per night each extra person. Friday andamp; Saturday nights - $250 per night for up to 2 people + $45 per night each extra person. Special conditions may apply for weekend bookings, public holidays and local event dates. Check in 2pm; check out 10am. Smoking permitted outside only. Great place for a group! The place was great and felt really welcome. Diane took time out of her Christmas Day to come and meet us and let us in to the property! The place was so clean and tidy and the hot tub was great. Would recommend to anyone! So close to everything we needed - bike rental, the square, four square. Great location close to Martinborough square with everything you need. Great location close to Martinborough square with everything you need. Loved the spa too. 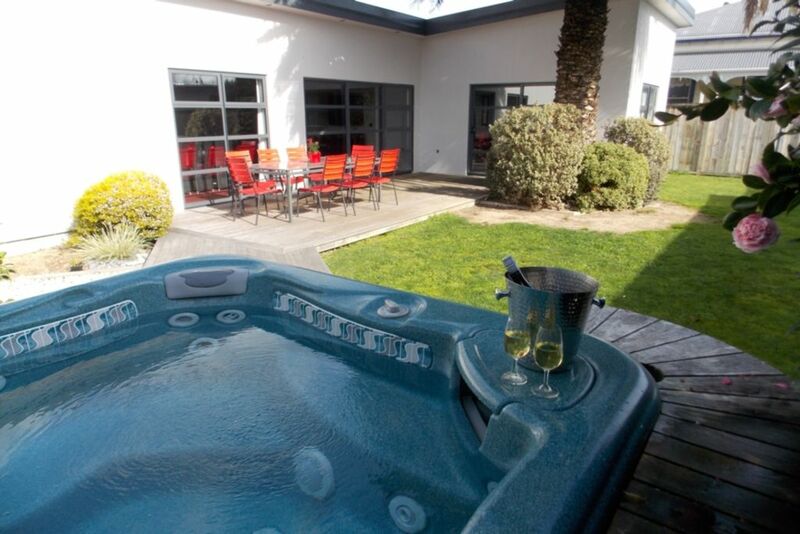 Excellent location so handy to Martinborough easy walking distance. Excellant property, really handy location (walking distance to the square and out to lovely vineyards). Ample space for the 7 of us.